Windhoff – Twin Tamper AST8 « A.P. Webb Plant Hire Ltd. 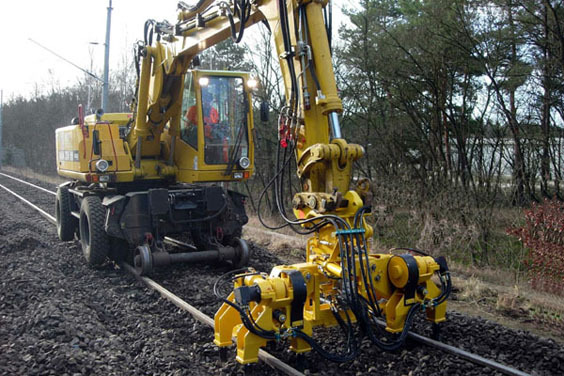 The Windhoff tamping attachment AST 8 is designed for use at rail tracks and at switches. 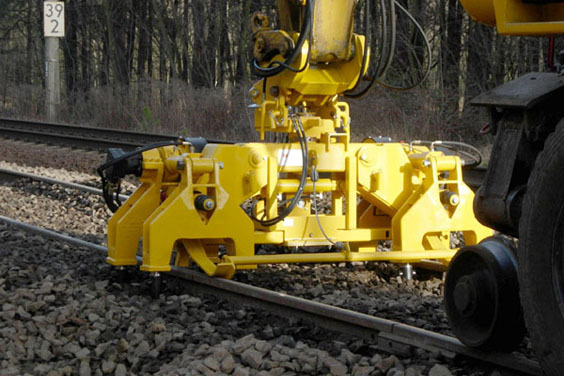 The unit features a total of 8 tamping picks which operate in unison. Two working units with a total of 8 pokers which simultaneously dig into the crib ballast. For working at switches, one tamping section can be raised hydraulically. A rotating cylinder permits the alignment of the attachment with the sleeper position. Simple gauge adjustment features two working units with a total of 8 pokers which simultaneously dig into the crib ballast. For working at switches, one tamping section can be raised hydraulically. A rotating cylinder permits the alignment of the attachment with the sleeper position.